ESSENDON will keep top-up players James Kelly and Matt Dea on its list for 2017, with the intention of signing them as delisted free agents. AFL.com.au reported in August that the Bombers would be able to sign its top-up players as delisted free agents, since they would need to be delisted to leave Essendon's list. The delisted free agency period opens on November 1. Kelly finished equal-second in the Bombers' best and fairest (tied with Joe Daniher) while Dea was ninth. 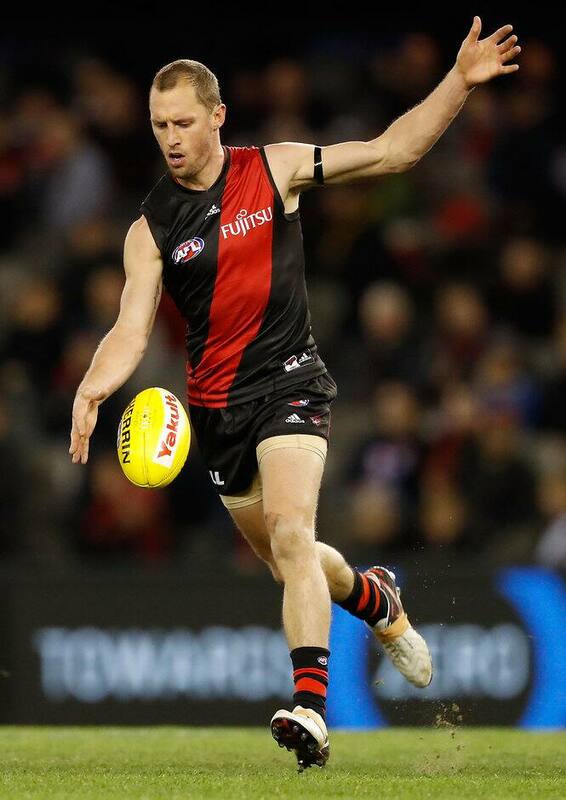 Essendon football manager Rob Kerr told essendonfc.com.au the club had always been keen on keeping the pair. "We have been in constant dialogue with James, Matt and each of their management groups since the end of the season regarding the opportunity for them to return," Kerr said. "They both had outstanding seasons in 2016 and were important leaders for the team both on and off the field. "We know James and Matt are keen to play on in the red and black and we are looking forward to what they can continue to offer with their experience next season." Kelly, 32, has played 293 career games and was delisted by Geelong at the end of 2015. Dea, 24, was cut by Richmond at the end of last season.